Please find below the membership form for you to download. To join please print and complete the form and send to the Membership Secretary or the branch contact of the branch you wish to join along with your monies for the membership fee. Contact details are on the form. 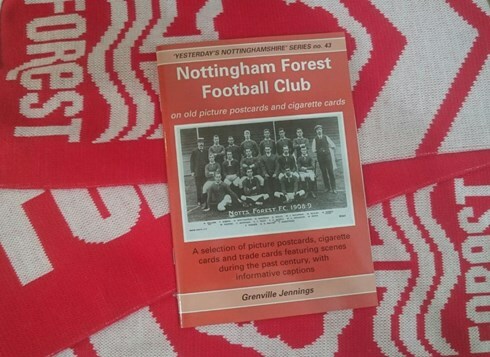 Should you wish to have a hard copy or are unable to open the attachments please email us at membership@nottinghamforestsupportersclub.co.uk with your address and we shall pop a form in the post. You can also join online on this our website by using the PayPal buttons at the bottom of this page, you do not need to join PayPal to pay in this way. When purchasing membership online, you must include which branch you would like to join and the names & ages of any additional members in your application in the Special Instructions to Seller section at the bottom of the payment page. You may need to have Adobe Reader installed on you PC or Laptop to view or download the online Membership form. 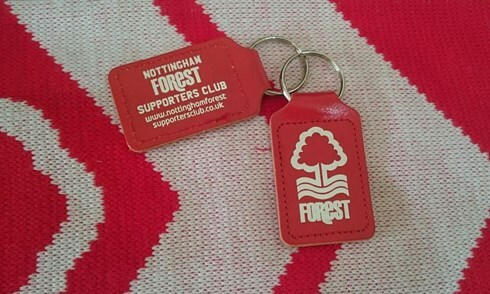 Nottingham Forest Supporters Club 2020 Diary (for all Adult memberships). Nottingham Forest Supporters Club 2019 - 2020 Gloves (for Under 21 & Junior memberships only). Nottingham Forest Supporters Club 2019 - 2020 Enamel Badge. Use of bar before home matches at the Boat Club, Trentside. Monthly prize draw - £50 each month, August to April. Social events organised centrally and by some branches. Regular consultative forum meetings with NFFC (contact the General Secretary for details). Supporters Club Executive Box made available to branches throughout the season. Arranged tour of the City Ground (Contact Joan Bakewell for further details). Business Discounts (see below for details). Nottingham Forest Supporters Club membership also entitles its members to a number of discounts with local companies. Click on the link below for our latest discount book. Rita Kirk, 41 Bladon Road, Ruddington, Nottingham, NG11 6DR. Tremaine Binkley, 11 Norburn Crescent, Old Basford, Nottingham. Sue Congreave, 22 Lower Orchard Street, Stapleford, Nottingham, NG9 8DH. Gary Hancock, 9 Lambeth Court, Beeston, Notts. NG9 2DT. Mark Richardson, 5 Labray Road, Calverton, Nottingham. NG14 6LD. Paul Middleton, 7 Holt Drive, Loughborough, Leicestershire. LE11 3HZ. Nathan Sudbury, 108 Park Avenue, Bryn-Y-Baal, Mold, CH7 6TR. DN3 3UD. Telephone: 07928 386896. Edward Walker, 107 Hargrave Avenue, Needham Market, Ipswich, Suffolk, IP6 8ES. Nottingham, NG4 4BX. Telephone: 0115 956 1277 . Eric Duggan, 6 Laburnum Close, Grantham, Lincs. NG31 9LS. Andrew Trigg, 25 Eley Close, Ilkeston, Derbys, DE7 9JU. Michael Helme, 26 Cryol Road, Ashford, Kent. TN23 5AJ. Peter Mitchell 12 Leabrooks Avenue, Mansfield Woodhouse, Mansfield, Notts. County Durham, DL5 4PB. Telephone: 07583 076469. Richard D McRae, 26 Church Street, Stapleford, Notts. NG9 8DA. Janet Hallam 110 Victoria Road, Kirkby in Asfield, Notts, NG17 8AS. Andy Palmer, 6 Whitepark Place, Ordsall, Retford, Notts. DN22 7ZB. Dave Fairholm, Claremont, Hartfell Crescent, Moffat, DG10 9AL. Anthony Cockayne, 17 Acacia Avenue, Chapel St Leonards, Skegness, Lincs. PE24 5RE. Dorset. BH12 1NR Telephone: 07773 822085. Nottingham, NG11 8HE Telephone: 0115 9746730. Devon. PL6 5EG Telephone: Telephone: 07977 117963. Nottingham, NG6 OAN Telephone: 07906 854281. Ann Brothwell, 50a Castle Gate, Nottingham. NG1 6AF. Keith Kingscott, 84 Bibury Road, Hall Green, Birmingham, B28 0HQ. Matt Marsden, 19 Breary Avenue, Horsforth, Leeds. LS18 5QH. Dominic Hammond, Cellar, Rosmuc, Co Galway, Ireland. Please note : When purchasing membership online, you must include which branch you would like to join and the names of any additional members in the boxes provided. Membership packs for the 2019/20 season will be sent to members from August 2019 onwards. IN THE BOAT CLUB ON MATCH DAYS WITHOUT THIS CHARGE. 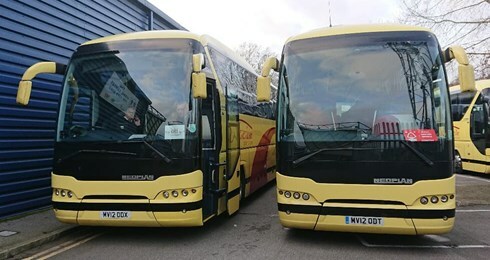 A number of Nottingham Forest Supporters Club branches offer match day coach travel throughout the season. Here is an update of which branches they are, and what they can offer. Members wishing to travel to away games should contact John Marsh on 07855 934088. And at service stations on route if requested . Members wishing to travel to home or away games should contact Bob Taylor on 01476 550242. Departure details in the sporting events noticeboard of The Grantham Journal and on the Grantham Branch website or contact Bob Taylor. Members wishing to travel to away games should contact Gary Hancock on 07985 549399. The Charnwood Branch offer travel to away games depending on demand. Members wishing to travel should contact Paul Middleton on 07711 688605. Nottingham Forest Supporters Club members can join us before every home league and cup game in The Boat Club, which is located a short walk from the Trent End stand on the banks of the river. The Boat Club is fully licensed, offering a good selection of alcoholic and non-alcoholic drinks, we also run regular raffles for signed Forest memorobilia. We open from midday before 3pm kick off's and 5.30pm for evening matches. Children are welcome and, for a £1 entrance fee, non members and away fans. We look forward to seeing you there throughout the season.